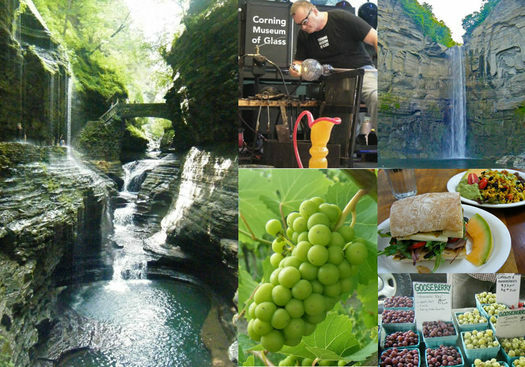 The boundary of the Hudson Valley begins in our backyard, and the region spans from Albany to Westchester. 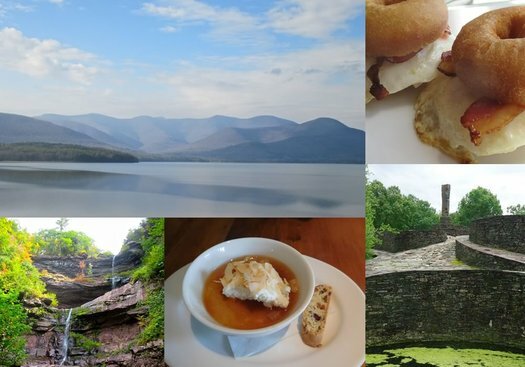 Famous for its natural beauty, dotted with farms, influenced by the arts, and layered with history, the Hudson Valley has a lot to explore. And focusing on the middle section is a good way to approach getting to know the region. 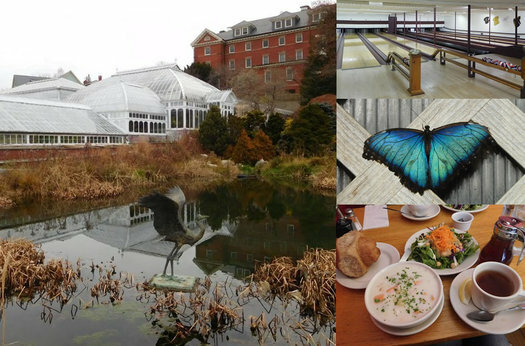 Connecticut is the third smallest state in the country -- but still has plenty of things to see and do during a quick weekend trip. Massachusetts to get there. Head out on I-90 east, take a right turn at Springfield, and cross the border. This part of the country is dotted with castle-like structures, full of history, mystery, romance, and fairytale. 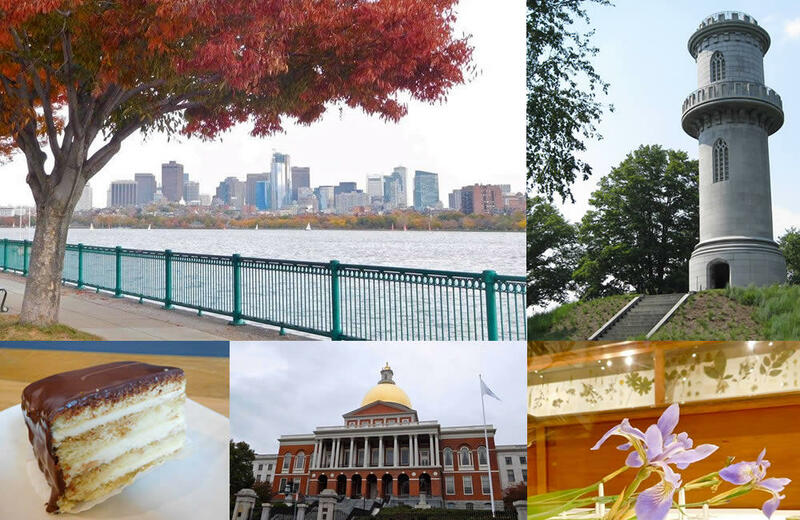 Boston was settled in 1630, making it one of the oldest cities in America. Today it has a distinct culture and cuisine, a beautiful strand of parks, and it's is a hub of higher education, with accompanying museums. And it only three hours from Albany. Oh, the places you'll go... Springfield, Massachusetts, for example. The home of the Basketball Hall of Fame. The home of that new MGM casino. One of the country's many Springfields where The Simpsons might live in their fictional world. And it's the home of a complex called the Springfield Museums. It's an easy 1.5 hour drive to Springfield from Albany along I-90 and then I-91. 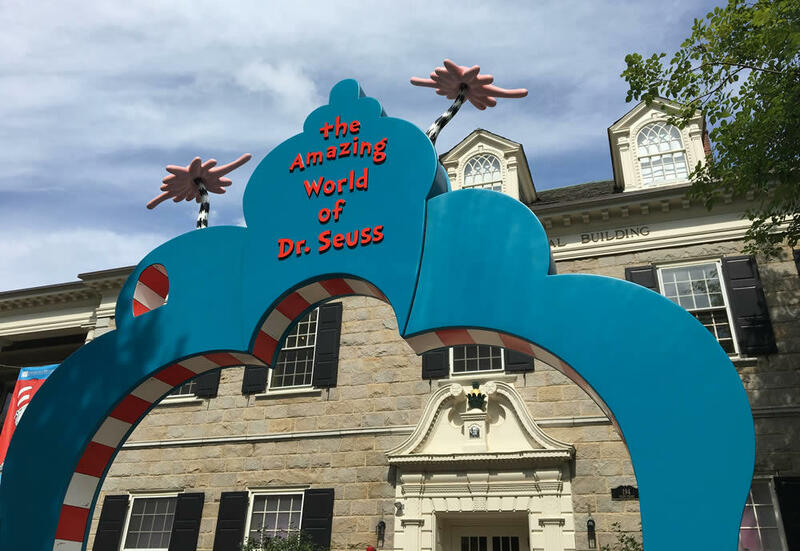 Yet, somehow I had never really heard much about these museums until the relatively new Amazing World of Dr. Seuss Museum opened as part of the Springfield Museums. Once you finish exploring the complex, you might find, as Dr. Seuss would say, "you're in pretty good shape for the shape that you are in!" Noted: Norwegian Air flies to Europe from Stewart International Airport in the Hudson Valley. And it has a sale right now in which it's offering one-way tickets from SWF to three destinations for as low as $100 during the winter. (Roundtrip total of roughly $250 after taxes and whatnot.) Those destinations: Dublin, Shannon (Ireland), and Edinburgh. That sale also covers other Norwegian Air airports in the Northeast such as JFK, Newark, and Boston. 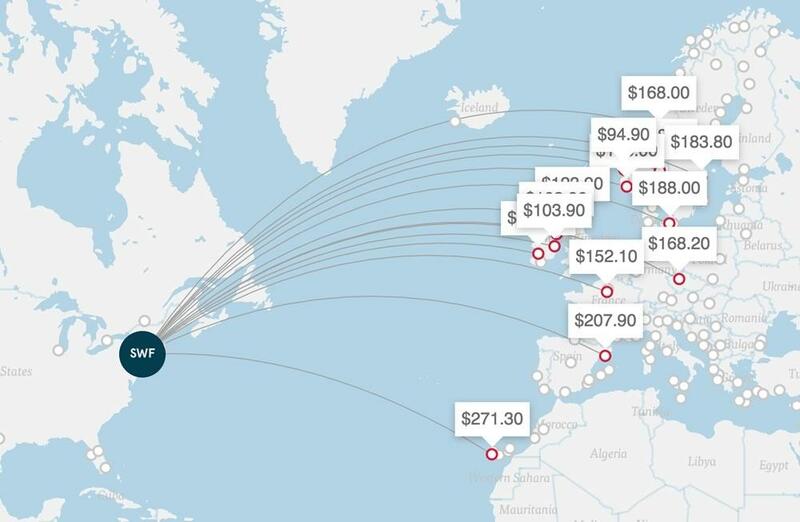 Those one-way tickets are more in the $150 range (about $350 roundtrip), but they include destinations such as Amsterdam, London, Paris, and Madrid. Norwegian started flying out of Stewart last summer. It flies to five European destinations direct from SWF, and 15 in total -- among them Barcelona, Copenhagen, Paris, and Prague. Scanning through the roundtrip tickets for the next few months, it looks like a lot of those flights are in the $400-$500 range. 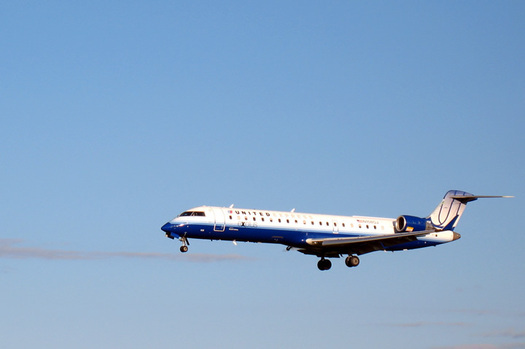 Have you taken Norwegian from Stewart or caught one of its fare sales? We're curious about how it was. A lot of people from this area take a beach vacation in Cape Cod or at the Jersey Shore, passing by a prime beach area right in our home state of New York! Long Island is a special place. It is the longest and largest island in the contiguous 48 states -- 118 miles long and 23 miles from north to south. You can find Gatsby-level luxury on the north shore, laid back vibes of the south shore, and farmlands out east. Also: all of the bagels you can eat. Caves are dark, damp, and dangerous -- yet they have always been an alluring mystery for people, filled with their otherworldly formations and maze-like passages. 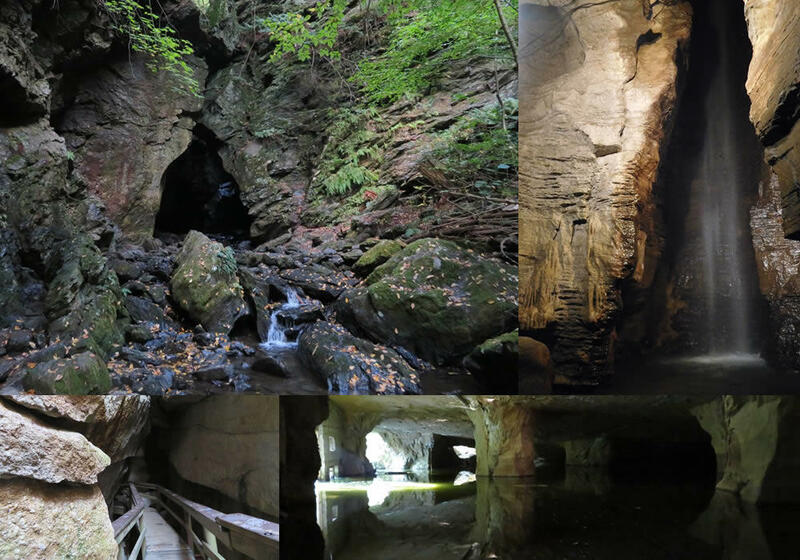 Whether you are a novice to caving or more seasoned spelunker, here are a a few caverns within day trip distance to the Capital Region to discover. How far: Just about six hours. Why: Culture and food in one of the world's most cosmopolitan cities. How far: Approximately six hours. 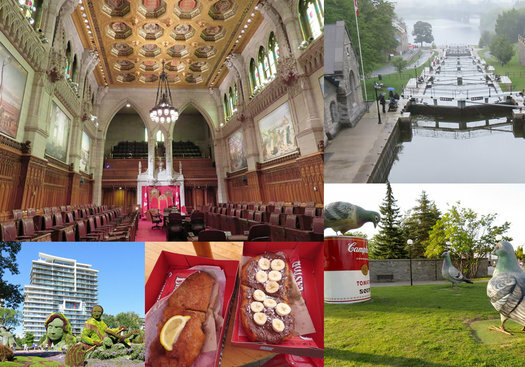 Why: It's the capital of Canada! How far: About 5 hours. 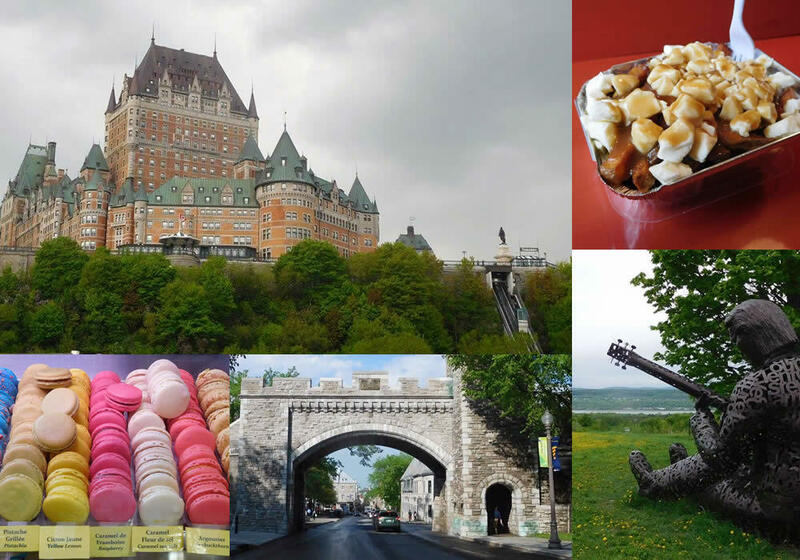 Often overshadowed by the two major cities that sandwich it to the east and west, Montreal and Toronto, Ottawa is worthy of a road trip all its own. 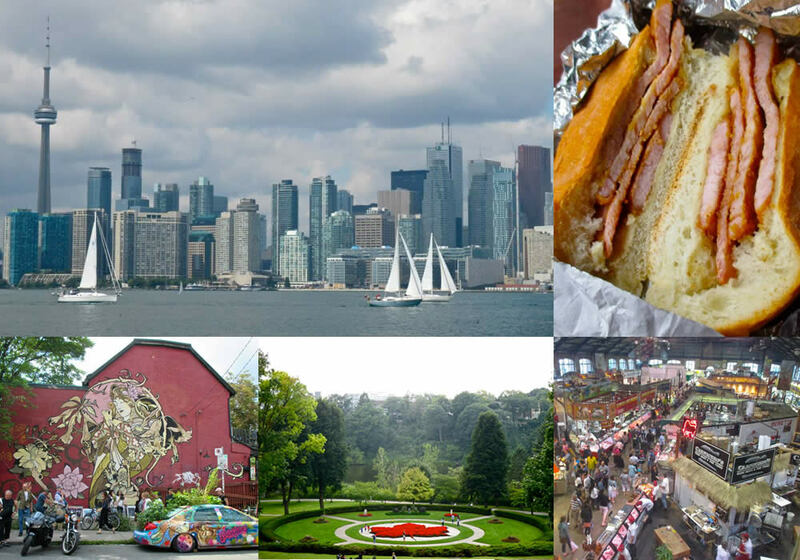 Why: Museums, culture, food, markets, great neighborhoods. It's Montreal. How far: About 3.5 hours. 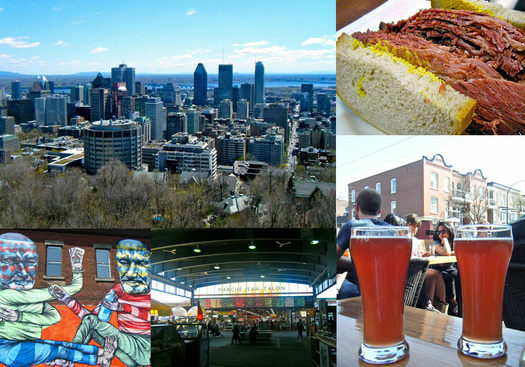 Montreal is a city that makes you feel as if you're on a different continent -- even though you're within half a day's drive from Albany. A cross section of the planned project. The Cuomo admin announced Thursday that construction is starting on the Moynihan Train Hall, which serve as the new station for Amtrak trains in New York City. The $1.6 billion project is expected to be finished in 2020. The train hall will be in the Farley Building -- a post office complex -- across the street from Penn Station. 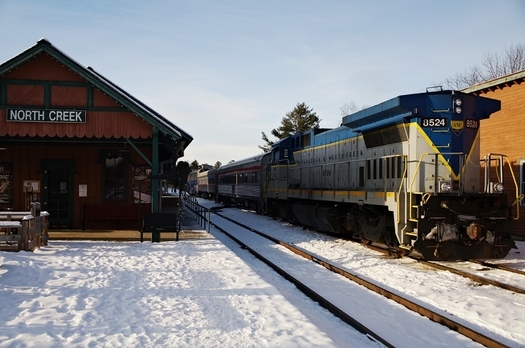 Former New York US Senator Daniel Patrick Moynihan proposed the trains-at-Farley idea decades ago, and there was a plan dating back as far as 10 years ago for the construction of a "Moynihan Station" on the site. Now a version of the idea is finally happening. An underground concourse will connect Moynihan to Penn Station. The train hall will also serve the Long Island Rail Road. This is of interest here, of course, because NYP is by far the most popular destination from Albany-Rensselaer. And Albany-Rensselaer is one of the nation's 9th busiest train station, with more than 825,000 "on offs" each year. Also: Penn Station is depressing. Amtrak is now running a handful of trains between Albany-Rensselaer and Grand Central in New York City, instead of Penn Station. The modified schedule will be in place through September 1. 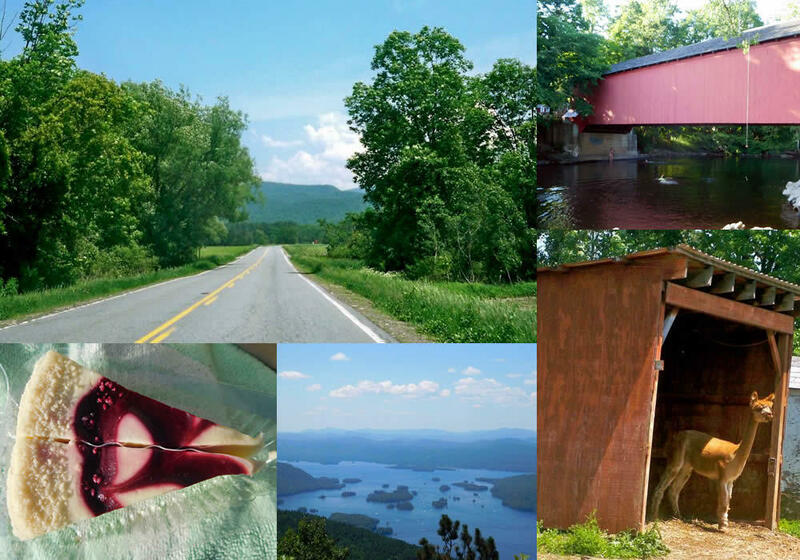 Recommendations for summer weekend stuff in the eastern Adirondacks? My friends and I are meeting up for the weekend at a lake-house just east of Keeseville this coming June. Having never stayed in that area, I was wondering if any of your readers might have recommendations for things to do, places to eat, etc. Thanks! Keeseville is on the Clinton/Essex county line along the Ausable River. It's roughly about as far north as Burlington (but, you know, on the New York side of Lake Champlain.) We're guessing there's a bunch of good summer stuff to do around there. So, got a suggestion for Sean and his friends? Please share! An hour in any direction from Albany is bound to bring you somewhere interesting, but heading south down the Thruway to New Paltz has to be my favorite daytrip of all. 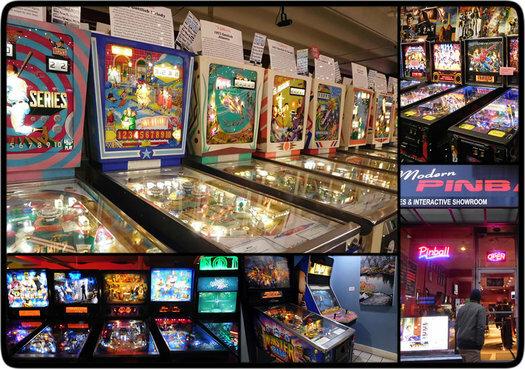 I love the funky, alternative vibe and there are so many options no matter what you are looking to do. 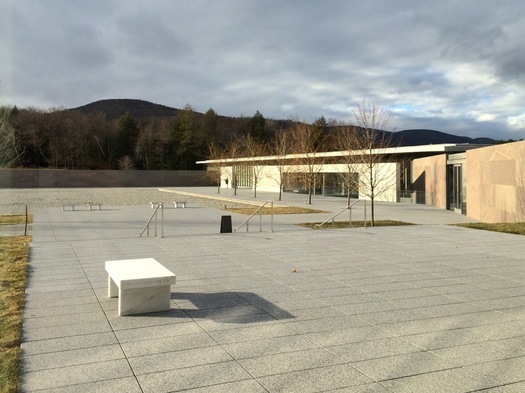 And the location is almost equidistant between the Capital Region and NYC, so it can be a perfect middle ground meeting spot for friends who live in different cities. 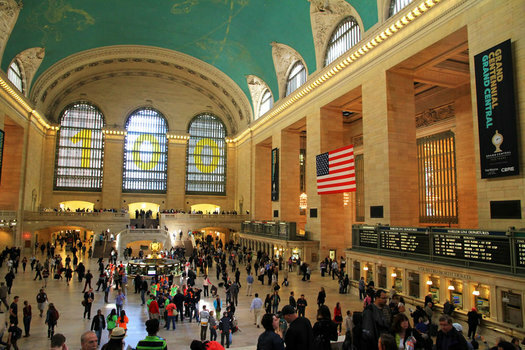 Earlier this year Andrew Cuomo floated the latest plan for building a new train station in New York City to replace the outdated and much-unloved Penn Station. The broad outline of the project included the long-planned conversion of the huge post office building across the street from Penn Station. 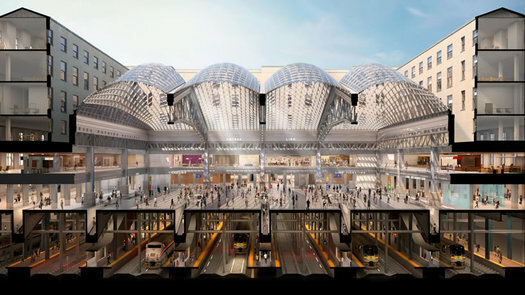 Now there are more specific details: On Tuesday Andrew Cuomo revealed a timeline for the project, showed more renderings, and said the project will build a "world class" train station. Mount Colden viewed from Marcy Dam. Once you start looking, you begin to see them everywhere. On Subarus and Honda SUVs, small and understated, the small, round sticker is easy to miss. The bubbly, hand-drawn font reads simply: 46er. 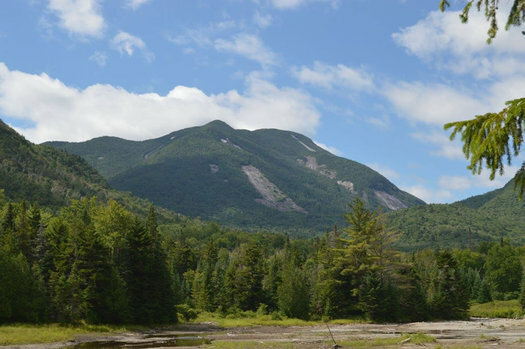 For the uninitiated, here's the short version: There are 46 "high peaks" in the Adirondacks, giant, looming mountains over 4,000 feet in elevation. Those brave or crazy souls who choose to hike all 46 of them form an exclusive club, called The 46ers. For many of us, especially those without a lot of experience hiking, becoming a 46er seems completely unattainable. Like only the Bear Grylls type would be able to do it. But in reality, lots of regular people complete the 46. The New Hampshire coastline -- all 18 miles of it -- is often overlooked as a summer getaway. 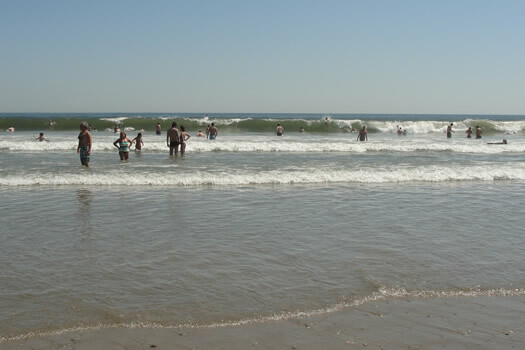 You always hear about people traveling to other New England beach hotspot such as Cape Cod in Massachusetts, Newport in Rhode Island, or Ogunquit in Maine. But perhaps Portsmouth, New Hampshire likes it that way -- and its charm is reserved for just those in the know. A company called Black Heritage Tours is starting a new history tour of the Albany area, Hudson Valley, and New York City that's focused on African Americans, Native Americans, and the Dutch. Founded in Amsterdam in 2013, Black Heritage Tours - New York State focuses on the transnational history of the region, and demonstrates the influence that the Dutch, Native American and African cultures had on New York. While we often think of New York as a "free state," slavery wasn't abolished in New York until 1827, and its blows were felt long after that. This three-day, two-night tour of New York's Hudson Valley, which includes hotel accommodations and transportation, will provide a glimpse into our past, answering questions about the history of slavery in New York, and bringing to light the extraordinary experiences of the men and women who helped shape this region. 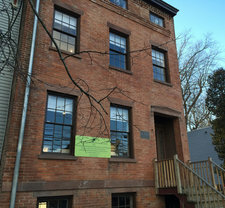 The tour begins in Albany, with stops at Crailo Historic Site, Ten Broeck Mansion, the Stephen and Harriet Myers Residence, which was a stop on the Underground Railroad, and the African Burial Grounds. Tours will proceed along the Hudson River to New York City, with additional stops in Harlem and Brooklyn. As an adult, [company founder] Jennifer [Tosch] attended University of California, Berkeley where she studied Dutch Colonial history. She traveled abroad to trace her family's own diaspora, and during her studies in the Netherlands, she was surprised to discover large voids in the historical narrative. 'Where were the positive narratives about the presence of Africans?' 'Where were their contributions celebrated?' 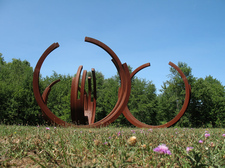 Similar to her childhood, Tosch recognized gaps between her experiences and the story being told by the predominant culture. She founded Black Heritage Tours to combat that "single story" approach to history and reclaim her heritage. The first New York tour is this August 5-7. It will repeat October 28-30 and December 9-11. Tickets are $555 and include the tour, transportation from Albany, accommodations, and breakfast and lunches. The origin of Thousand Island dressing can be controversial, but legend has it that it was the wife of a fishing guide in the Thousand Islands region of New York who first served the condiment during dinners for her husband's tours. Prominent visitors from New York City tried and loved it, and it spread from there. 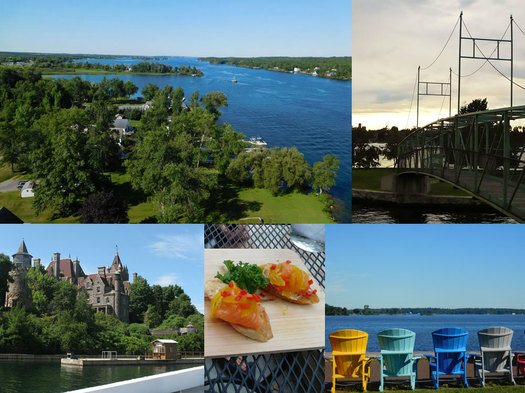 Of course, the Thousand Islands area is more than simply a famous salad dressing -- it's also a place of beauty and adventure. And close enough for an easy weekend trip. To be precise, there are 1,864 islands in the Saint Lawrence River, which separates New York from Ontario. In the summer months it is a water lover's playground with options including fishing, swimming, boating, and diving. 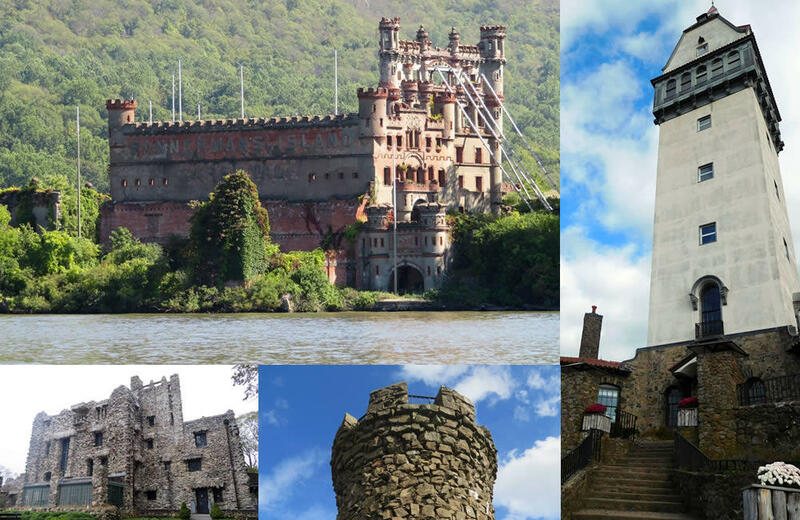 And on land there's a castle paired with a love story, many wineries -- and pirates! The land surrounding the eleven long and narrow lakes resembling fingers in Central New York is filled with much natural beauty to behold -- and many libations to sample. 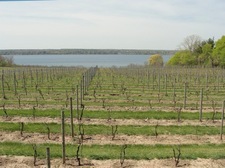 The Finger Lakes region is New York's largest wine producer, boasting over 100 wineries. There are also plenty of little towns to explore, as well parks and lakes to take in. 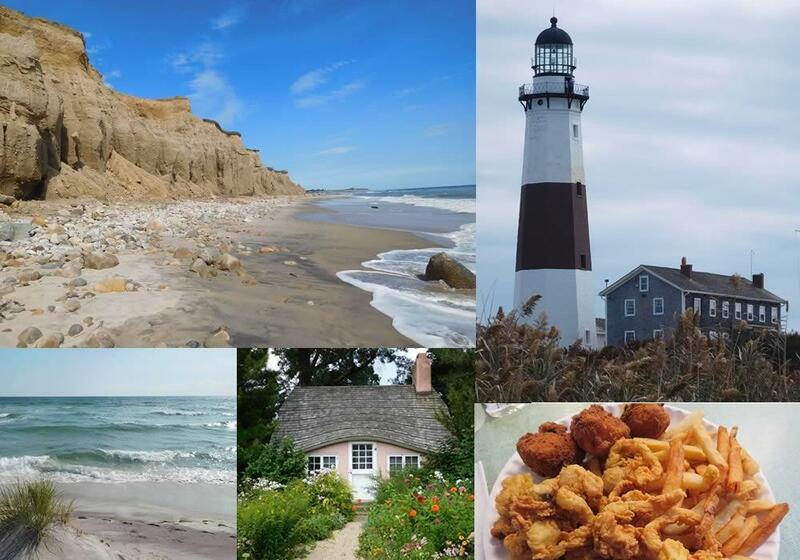 And it's an easy summer weekend getaway from the Albany area. I was wondering if any of your readers have any advice for fun things to do with kids in the Lake Placid region. My family and I are heading up there in a couple of weeks and would love some extra input. 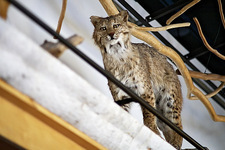 There are a bunch of things to see or do around that area, and we're guessing a fair number of them will work with kids. So, got a suggestion for Sean and his family? Please share! Columbia County is special. Its quiet rustic aura attracts people from places such as Albany and Manhattan for a retreat from urban life. (And it's close enough to escape for just a day.) A multitude of little towns are filled with culture, fun, warm drinks, and good food, just waiting for you to explore. If you're in a hurry hop on I-90 east, but there are plenty of back roads if you want to take it slow. 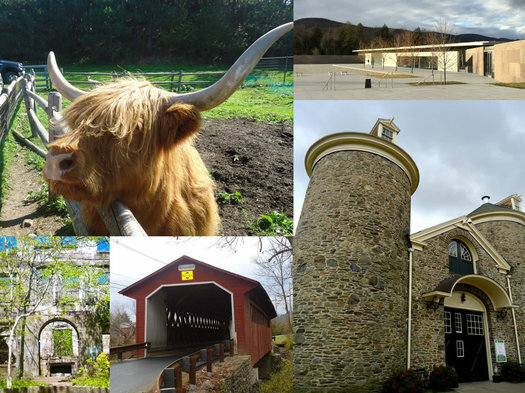 I love western Massachusetts because there are so many little towns to discover, all with unique personalities. 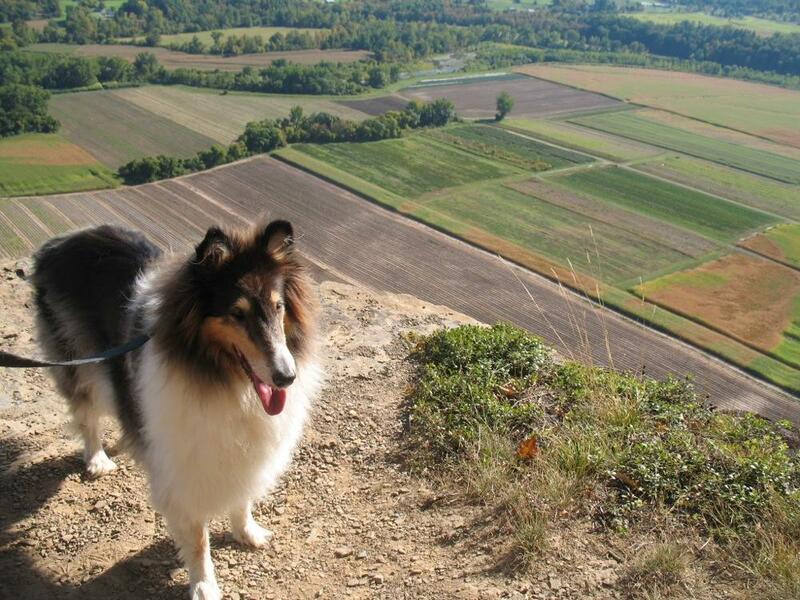 Perhaps you've explored the Berkshires before -- Lee, Great Barrington, North Adams, and other nearby places. 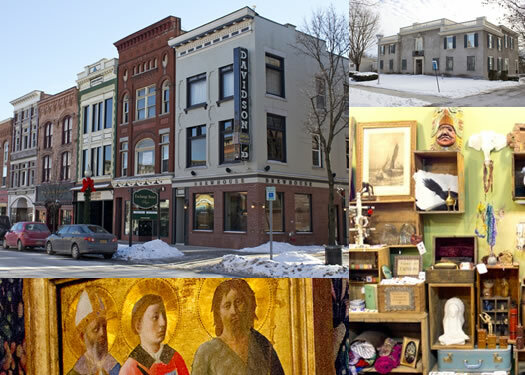 The greater Capital Region includes a bunch of interesting museums that span a variety of different topics. 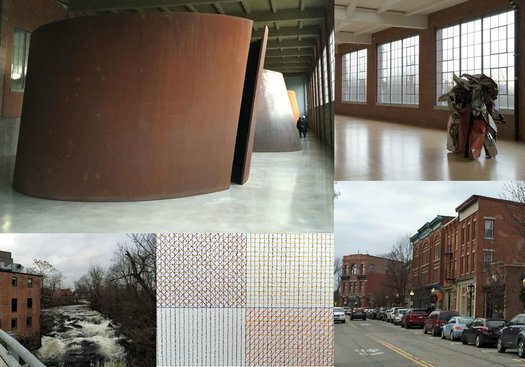 And if you're up for going a little bit farther afield, here's another one you might enjoy: Dia:Beacon. 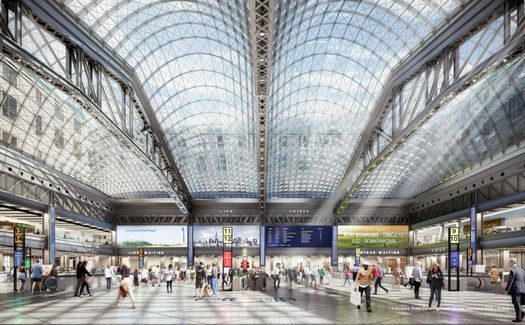 Andrew Cuomo's Tour of Major Infrastructure Project Renderings leading up to next week's State of the State power point address yesterday laid out his admin's plan for redeveloping Penn Station. And that's of interest here because NYP is the destination for so many train rides out of Albany-Rensselaer. Cuomo is proposing a two-part plan for the Penn Station redevelopment: moving the train station portion of the facility across 8th Ave to a new station at the current post office building there, and then redeveloping the current Penn Station space as a subway hub. 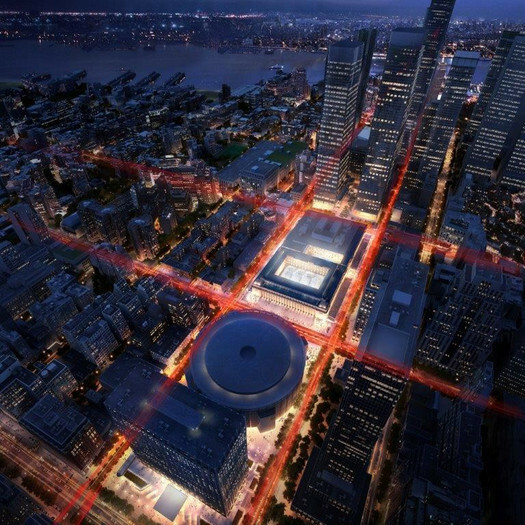 And there would be a new name for the two-part complex: Empire State Station. Utica and Rome are like Albany and Troy. They go together and when visiting one, you may as well visit the other to double your fun. These cities rose with the canal and railroad connecting eastern New York with the Great Lakes region. But, like many other upstate cities, the last half century has included some rough times as they lost manufacturing and population. Today they are doing their best to come back. You can reach the cities with ease -- just an hour-and-a-half drive on I-90 will get you into Utica and an additional 20 minutes to get to Rome. (Just about an hour farther west and you're in Syracuse, but save that for another day.) You can also take the Amtrak train into either of the cities. 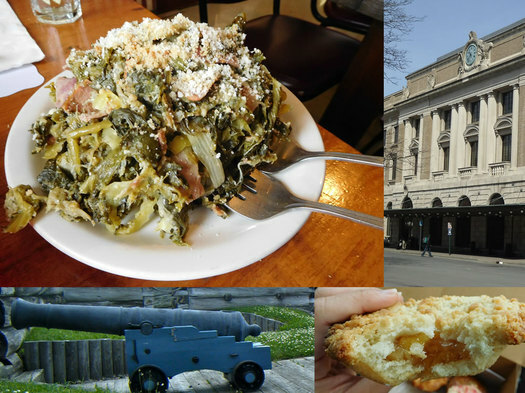 There is a lot to see here, fine food, history, and fun to be had. Just head west. When you think Syracuse your thoughts probably shift towards collegiate sports, or the image of a snowbound post-industrial city. But Syracuse is reinventing itself and has a lot to offer. 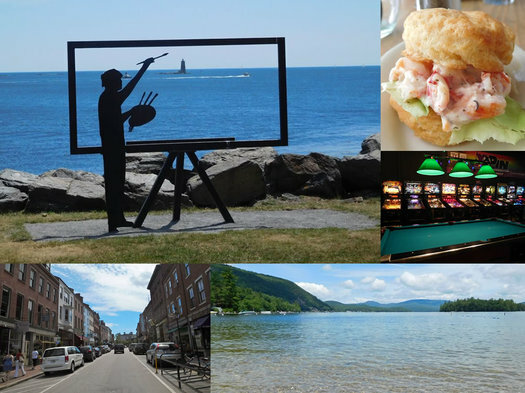 The drive from Albany is a little more than two hours on I-90, so why don't you see what's going on there for yourself? New York and New Hampshire are separated by Vermont, but it's still only a two-hour drive from here to the state of "Live Free or Die." And it's worth making the trip over -- whether it's just for the day or a whole weekend -- because there are also sorts of things to see and do, from natural wonders to the world's largest arcade. Take a ride an hour east of the Capital Region on I-90 and you will find yourself over the state border in the Berkshires. 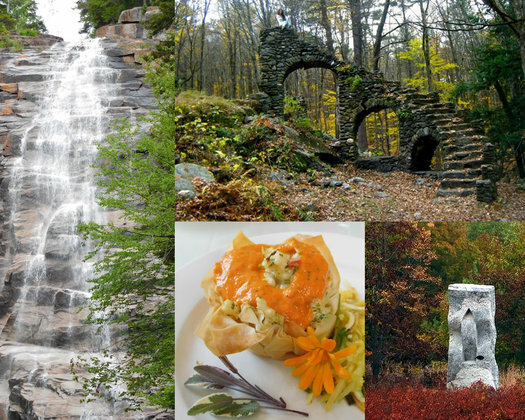 Western Massachusetts is saturated with culture and nature, with many different things to see, do, and eat. Here's one way to spend a day immersed in the local flavor. 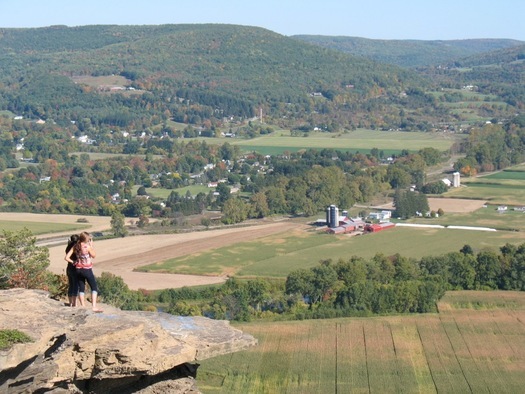 Sometimes it's easy to forget just how close the Catskills are to the Capital Region. The northern edge of the area is in Greene County, immediately to the south of Albany County. And it's just an hour's drive away. 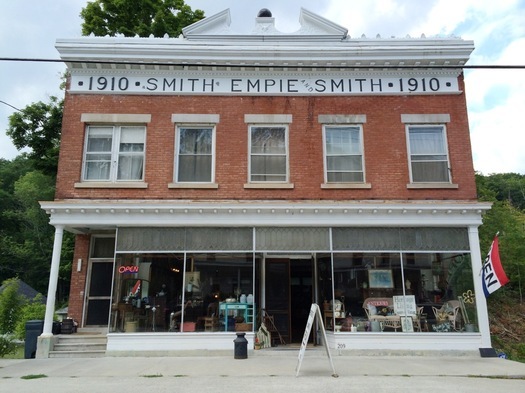 This handsome building on Main Street was once a department store -- it now houses the antique store Heritage Living Country & Vintage. Sometimes you just want to get out of town for the afternoon. 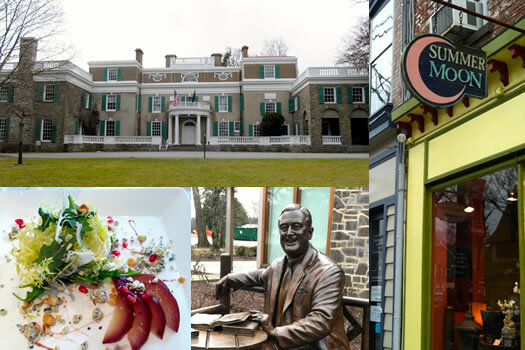 A quick trip to Sharon Springs is an easy way to do that -- and you can still be back by evening. Updated with maps that now include Connecticut. The question this week about good weekend getaways + the gawking at various "weekend" houses around the region on Airbnb = us being curious about where seasonal/vacation/weekend homes are located in this part of the country. It's so nice here right now that it would be so nice to not be exactly here right now. What we're trying to say is that Amelia's question earlier this week about weekend getaway trips got us daydreaming about wandering off somewhere for a few days to enjoy summer. So, as before, we went skimming through the Airbnb listings for weekend houses in places not too far afield from here. I was wondering if AOA could help/recommend some great fall B&Bs, Inns, boutique spas that I can take my significant other for a long weekend this fall without the kids. I'm thinking closer to the hudson valley near the CIA or finger lakes as we've never been? Any recommendations? 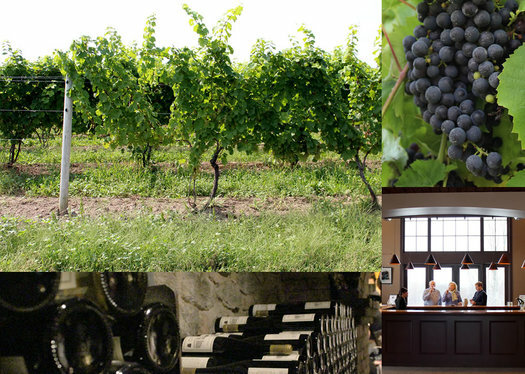 Earlier this year Lauren wrote a bit about wine touring in both the Finger Lakes and Hudson Valley, and some of the suggestions might be helpful. We're especially curious about people's suggestions for the Finger Lakes and out west generally -- it feels like that region doesn't get a lot of attention here, but it's really not that far. So, got a suggestion for Amelia? Please share! And bonus points for a sentence or two about why you're suggesting that place. 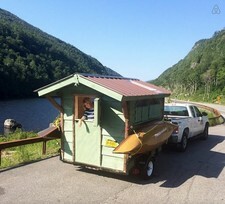 This made us smile: There's a tiny, mobile cabin that you can via Airbnb for use in the Adirondacks. The Space Cozy cabin that smells like pine. Skylights, screen windows and Dutch door afford plenty of light and yet ensure privacy. Guest Access This is a private mobile cabin that we will transport anywhere in the Adirondack Park in NYS that offers thousands of campsites. We can also deliver to a private property if you've got friends or family in the Park. The cabin rents for $200 a night with a two-night minimum -- or $550 for a week (and $1800 for a month). A whole nine days ago (there was a summer break in there), this year's AOA Rail, River, Hudson trip made its way to Hudson. And, like last year, it was a lot fun! The sold-out trip took more than a hundred people from downtown Albany to Hudson and back via bus, train, and boat. Although the S.S. Columbia is a newcomer to the Hudson - it plied the waters of the Detroit River for much of the 19th century - its history is strongly linked to New York City. 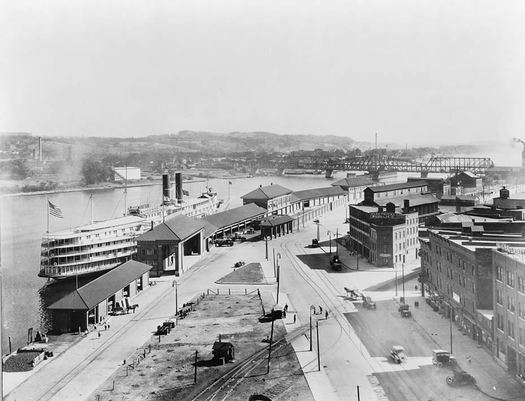 The Columbia was designed by naval architect Frank Kirby and artist Louis O. Keil, who together built the celebrated Hudson River Day Line steamers Hendrick Hudson, Washington Irving, and the Robert Fulton. Built in 1902, the S.S. Columbia included an array of design, engineering and aesthetic innovations. At just over 200 feet in length and 60 feet at the beam, the boat was designed to carry 3,200 passengers on her five decks. She was adorned with mahogany paneling, etched and leaded glass, gilded moldings, a grand staircase and an innovative open-air ballroom. Restoration of these features is expected to begin when the ship in New York. The Columbia will be powered by its rare and intact 1200 horsepower triple expansion steam engine; the massive engine is viewable by passengers. The S.S. Columbia is currently in Toledo for repairs. The plan is to move it to Buffalo this summer, and then eventually up the Saint Lawrence Seaway and down the Atlantic Coast to New York City in 2016. According to the New York History Blog, the project is trying to raised $300k to get the boat to NYC. The whole project will ultimately involve $10 million, according to its website. The ship is pretty rough shape now -- you can follow along with the repairs view the project's Flickr stream. There's a long history of people taking day cruises along the Hudson, which Duncan wrote about last year here at AOA. Might be worth a look: NY Thruway Guide, an iPhone app that's pretty much what it sounds like. It provides access to the lineup of Thruway exits and travel plazas, along with alerts and more than 150 traffic cameras. We tried the app out today for a few minutes and it's smooth. The listing of travel plazas (including what amenities are at each plaza) and easy access to traffic camera pics could be helpful. It also lists the parking pull-off areas between plazas, which is nice. A few things could be better. One that stuck out to us: The listings for nearby places at each exit -- which look like they're pulled from Google -- weren't great while we sampled local stops. An example: The first restaurant listed for Exit 24 -- the 1-90/I-87 interchange -- was the Albany Pump Station, which is more than five miles away. It'd be great if the app could incorporate more sophisticated food/place listings. NY Thruway Guide is 99 cents, and currently only available for iOS. The app's creator -- Dan Wheeler, an Albany native who now lives in New Jersey -- tells us via email that he's looking into making an Android version. #TSACatch - This handsaw was discovered in a carry-on bag at the #Albany International Airport. All saws are prohibited in carry-on bags. This was posted on the TSA's Instagram account on Friday. In addition to the Instagram feed, the TSA also posts this sort of stuff on a blog. A few other strange items the agency says have turned at ALB: an odd notebook found in September that screeners initially thought could be an IED, and in 2013 an inert grenade was snagged. Easy trips to warm destinations during winter/spring? 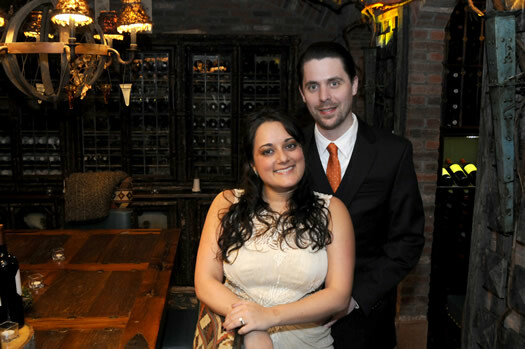 My fiance and I are getting hitched in Albany this spring and looking for ideas for our honeymoon. We want to head somewhere tropical to relax and reflect on what I expect will be a manic but amazing time. Wondering if the AOA crowd-sourced think-tank has any suggestions for easy flights to tropical locales out of the Albany airport.We'd love to leave Albany in the morning and be having dinner and drinks on the beach. In our somewhat silly "most degrees for your airfare dollar" post this year, south Florida fared (ha) well. And there could be a bit more airline competition by then. Got a suggestion for Carolyn and her fiance? Please share! 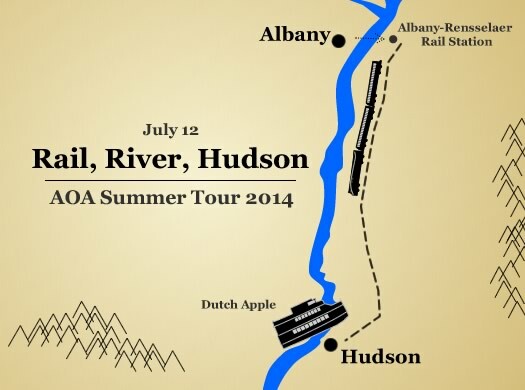 This year's AOA summer tour -- Rail, River, Hudson -- was this past Saturday. And we had a lot fun! More than a hundred people met up in downtown Albany before catching buses to the train station where we hopped a train for Hudson. After spending the afternoon there, we boarded the Dutch Apple for a sunset return cruise up the Hudson River. 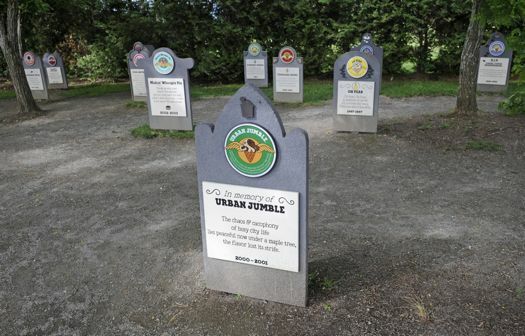 By now, you probably know "The New York City People" have arrived in Hudson. Or as one writer for the BBC put it, the place has become "a far north weekend colony of New York City." Like most Upstaters, I'm not impressed by people simply because they're from "New York." But I am impressed by how they come from New York to Hudson. They take the train, for two hours. Not only does that demonstrate the appeal of Hudson, it demonstrates the appeal of traveling by train. Or any car-free and easy travel, really. The key word being easy. Rail, River, Hudson tickets now on sale! Update: Tickets are now sold out!!! 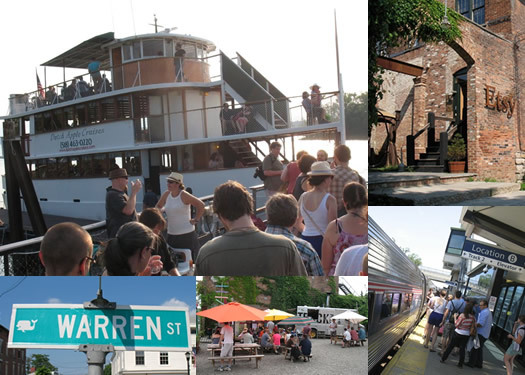 Tickets for this year's AOA summer tour -- Rail, River, Hudson -- are on sale now! Many details are after the jump (with updates from the original announcement), but the super short summary for the July 12 tour: We've organized a day trip to Hudson -- riding down on Amtrak, an afternoon in Hudson that includes an event at Etsy's building there, and then a sunset cruise on the Hudson River back to Albany on the Dutch Apple. Back in the day you could day trip to the edges of what we now call the Capital Region and never use a car. You could hop a trolley or a train, or take a boat along the Hudson. That sort of trip sounds fun to us -- and it inspired this year's AOA summer tour. 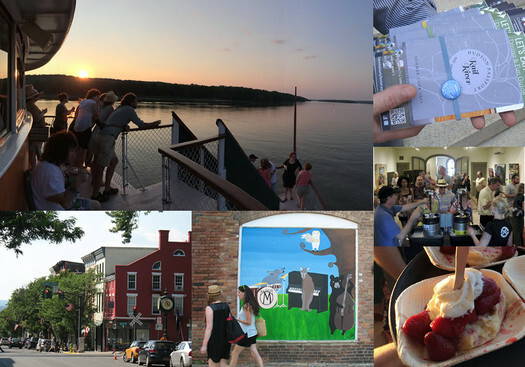 This July we've lined up an AOA day trip to Hudson -- a train ride down, a sunset cruise on the Dutch Apple for the return -- with a lot of fun and surprises along the way. We'd love for you to come along. Because these tours have been so popular in the past, we're giving you the early heads up now so that you'll be ready when tickets go sale on later this week. "This should increase competition at the airport, increase the availability of flights to Albany International's most popular destinations, like Florida, and drive down prices for the average flyer. What's more, it will keep more residents in the area flying out of Albany, instead of traveling out-of-state for cheaper flights. It's a win across the board that will reap benefits for Albany International, JetBlue, and the region's tourism industry for years to come." The two flights planned for the ALB schedule: Fort Lauderdale and Orlando. Here's JetBlue's current service map. Its slate of upstate-ish cities currently includes Buffalo, Rochester, Syracuse, Newburgh, Westchester, and Burlington. When word started spreading about JetBlue's impending arrival this morning, we noticed a bunch of people in our Twitter stream hailing the news. To which we ask, earnestly: Why? 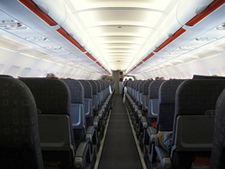 We're kind of the thinking that most airline travel is pretty much like any other airline travel these days. Sure, there's some variation -- the Southwest people might be a bit funnier and that airline doesn't charge you for checking a bag. But on price, and many other aspects, there doesn't seem to be a lot of difference. So, aside from the increase in competition, what's the big deal? If you've flown JetBlue, please share. We're genuinely curious about what separates this airline from the others. 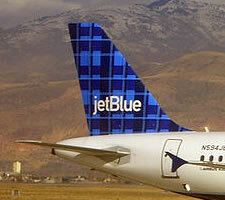 Elsewhere: A ranking of nine major carriers by the WSJ released in January pegged JetBlue at #5. Samples at the Vermont Pub and Brewery. 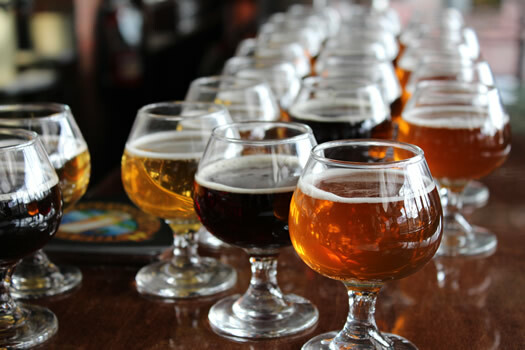 Albany has its share of emerging breweries and distilleries, along with pubs serving craft beers, spirits, and ciders. But sometimes you just need a change of scenery. For obvious reasons, we've been thinking about travel to warm places. So, as we've done in years past, we figured it'd be fun to see where we could get the most degrees for our airfare dollar. Best way to a NYC airport -- with luggage and a kid? It's no secret that Albany has a small airport, and that finding reasonably priced, direct flights to big cities can often be a bit challenging. I've just booked a cross-country flight out of NYC and was hoping your readers could help me settle on the best option for getting from here to there before lift-off (and then back again a week later). The current options (as I see them) involve driving + paying to park our car for a week, trains (whether from Albany or Poughkeepsie) or a one-way car-rental each way. We'll have lots of suitcases and a small child in tow. We did the math on a similar Albany-to-NYC question in the past -- and while the numbers surely aren't still the same, some of the general conclusions probably still hold true. But Sean's question is different because he's headed to one of the NYC airports (presumably JFK or LaGuardia, not Newark). And the "lots of suitcases and a small child in tow" adds a degree of difficulty. So... thoughts for Sean on the best option for his trip? Please share! 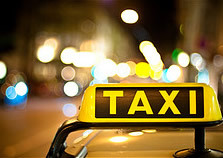 What is a reasonable price for a cab ride from ALB to downtown Albany? Wondering if you can do a thread on what to expect if you're flying into Albany and trying to get to downtown Albany by taxi. In the past I have had to some strange experiences. I.E. having to share cabs with strangers and then been price gouged for the pleasure. This year I'm going to try and set a price before leaving the airport but I'm not even sure what's normal here. 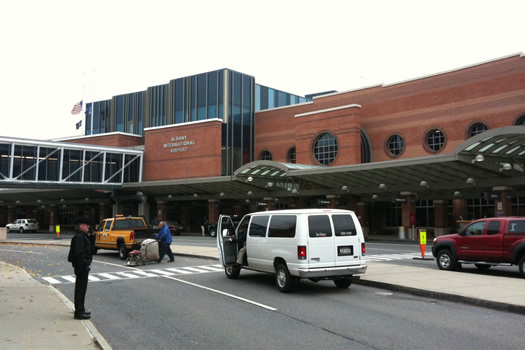 What is a reasonable amount to pay for a cab from the airport to Albany? Thanks and happy holidays! 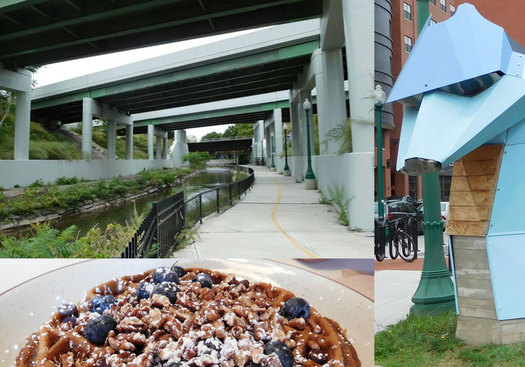 Let's just put this way: We don't think Carolyn is alone in having odd Capital Region experiences. We're guessing plenty of people have their own similar stories. So, got an answer to Carolyn's question -- or even just some local taxi negotiation strategies? Please share! 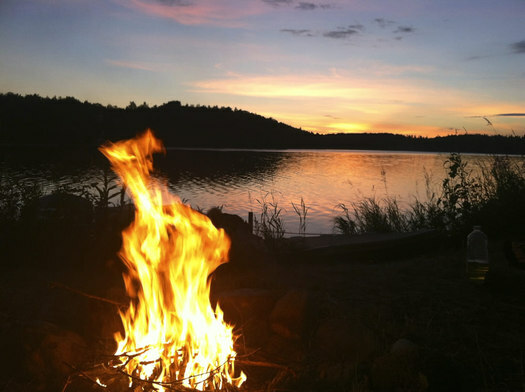 How to find a weekend camp in the Adirondacks? I'm looking for recommendations for a weekend camp/cabin rental somewhere up in the Adirondacks. My desires are simple - on a body of water. I'm not looking for anything fancy or expensive - simpler is MUCH preferred. We like to swim, kayak, hike, have campfires, grill and just relax. My wife and I are looking to begin what we hope to become a yearly tradition for our new family. Where have you, your families or your friends gone that you might recommend? Do you have any tips for searching for something like this, whether through realtors, any site that's specific to this kind of search, etc? Three years of NY living don't provide me with the strong base of relatives / schoolmates / neighbors who I can mine for recommendations. Any thoughts / help would be greatly appreciated! If have a specific suggestion, by all means please share. But what we really like about Sean's question is that he's asking how to go about finding a place like this. Sometimes that's the best way to help someone. So, suggestions for how Sean should start looking into? This summer is nearing an end, but it could help him (and others) get a jump on next summer. 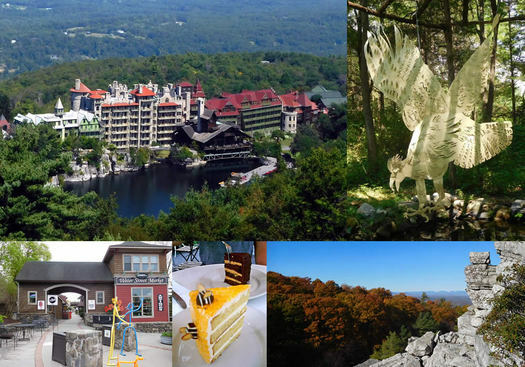 + Ask AOA: Weekend trips in the Adirondacks? + "The birthplace of the American vacation"
Traci Cornwell comes from a long line of entrepreneurs. Her grandparents opened Cornwell Appliance on Central Ave in Colonie over sixty years ago. And her great-grandfather owned a shuttle business in Coxsackie. So her current path probably shouldn't be a surprise. Traci was a finalist in last year's startup grant contest with what was then called The Bridge Runner Express, a plan to transport people between Albany and Saratoga. She didn't win the grant, but the judges were big fans of her, and they liked the idea -- they just thought it needed some more development. 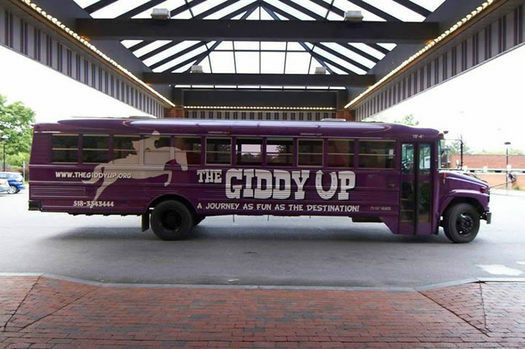 A little more than a year later, her idea is up and running as The Giddy Up, offering $10 rides between Albany, Clifton Park, and Saratoga for Track season -- with plans for more. Something different for an anniversary day? Hey @alloveralbany, I'm planning a date on 6/28 (or 6/30) for my boyfriend's and my 2nd anniversary. Any ideas of something fun and unique? My goal would be an activity we've never done before or something hands on, but open to any out of the box suggestions! We live in Colonie, so anywhere within day-trip distance. Otherwise, anything other than dinner and a movie is great! Thanks! We get the impression Jenn is in some competition with her manfriend to see who can come up with the best anniversary date, so obviously we want to help her win. The specific dates make this a bit hard to pick things like classes, but we've come up with three ideas -- two easy day trips, and one class -- after the jump. Have something in mind? Please share! Sometimes you don't need a whole day trip, right? It can get tiring, to have the whole long day away from the joy of work and traffic, to just shop and eat and enjoy the day. No, thank you, just a half-day for me. That's all I need. 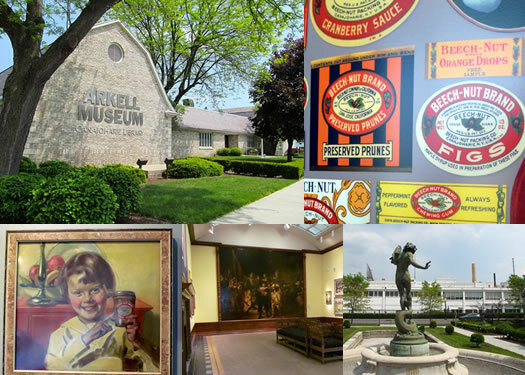 One destination for a quick half-day trip: the Arkell Museum in Canajoharie. Trying the "best craft beer in New York State"
Have you ever tried a beer and thought to yourself: "This is the best beer around." Well, this year at TAP NY, they made it official. For the first time, the New York beer festival awarded the Governors' Cup to a brewery for best craft beer in New York State. 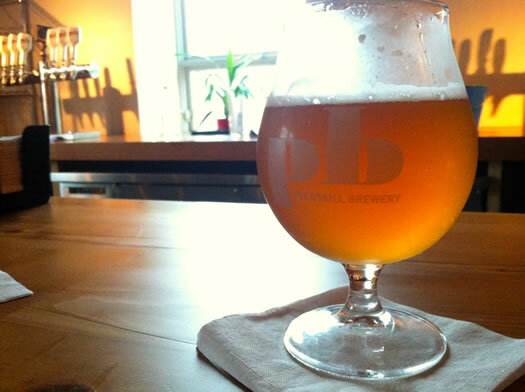 The winner: the Peekskill Brewery in Peekskill, for its Higher Standard IPA. So I obviously had to try the best beer in the state... you know, for journalism. 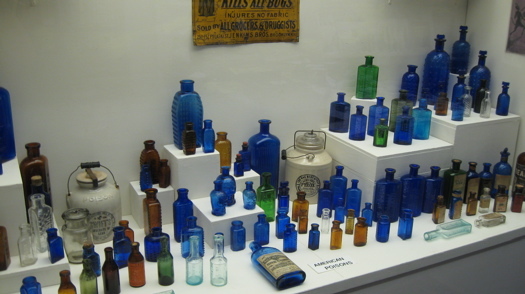 At the National Bottle Museum in Ballston Spa. 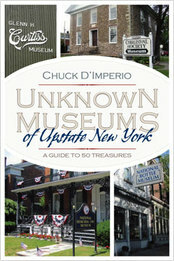 Unknown Museums of Upstate New York is an informative and entertaining guide to the rich resources available at fifty small, often overlooked, regional museums. 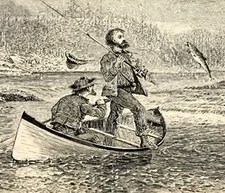 Even those familiar with the upstate area will likely have never visited and perhaps never heard of some of the treasures this guide unearths, such as the Catskill Fly Fishing Museum, the Kazoo Museum, and the Robert Louis Stevenson Cottage and Museum. D'Imperio tells each museum's story, in light of its cultural and historical relevance, and he provides a wealth of information about the museums as places of interest to visit, not just to read about. 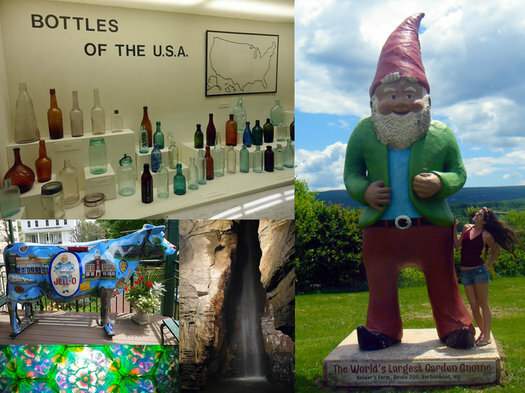 One of the museums in the book is the National Bottle Museum in Ballston Spa -- but, of course, that is not unknown to you. 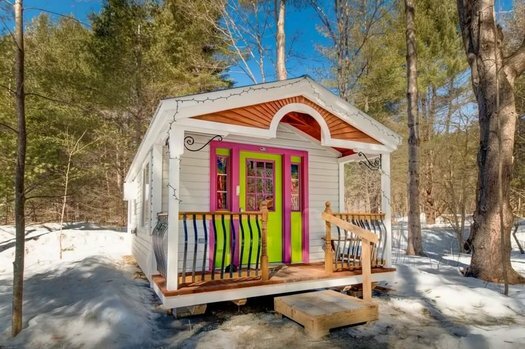 The mention of the Vermont tree house last week got us browsing through AirBnB this week looking for cool/interesting/cozy spots to stay for a weekend not too far way. Hey, an hour away from town can feel like a completely different place. 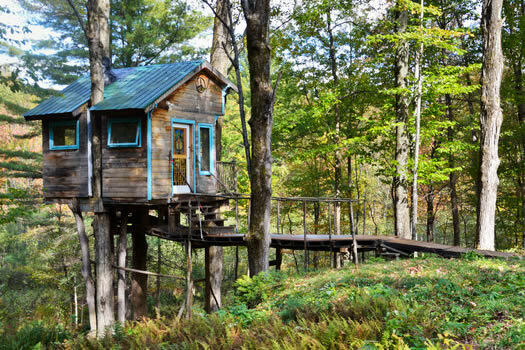 Jamie pointed this out in a comment earlier this week: it's a tree house in Vermont -- that you can rent. The treehouse is indeed a cozy little place perched on four maples 30 feet above a blanket of ferns. Access is by a ramp 70 ft. from the main house, where you'll have a private bathroom with shower. This quiet place in the woods has heat, electricity, and a small refrigerator. The main floor has a single bed, or CLIMB THE LADDER to the loft with a queen sized futon and down comforter. Enjoy the comfy reading rocker or sit on the deck and gaze at Mt. Abraham and the Green Mountain National Forest. The hot tub is a sweet new addition to the place. 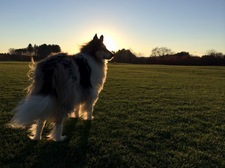 There are a bunch photos at the profile page. It's $149/night and includes breakfast. It's also booked up/unavailable until December. Update: Sebastien's stayed at the tree house and has an account of his visit (and photos), along with some thoughts on using AirBnB. Upstate New York is clearly the most interesting part of the state. Clearly. 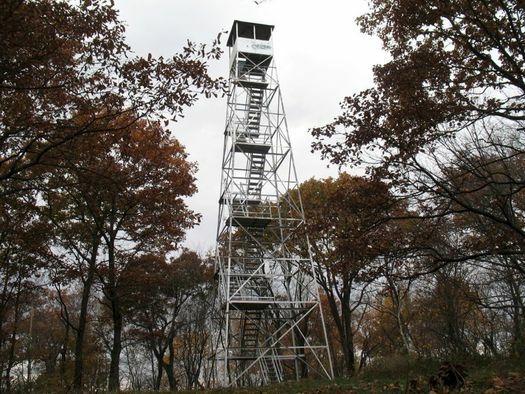 But, begrudgingly, we have to admit that downstate has a lot to offer as well. 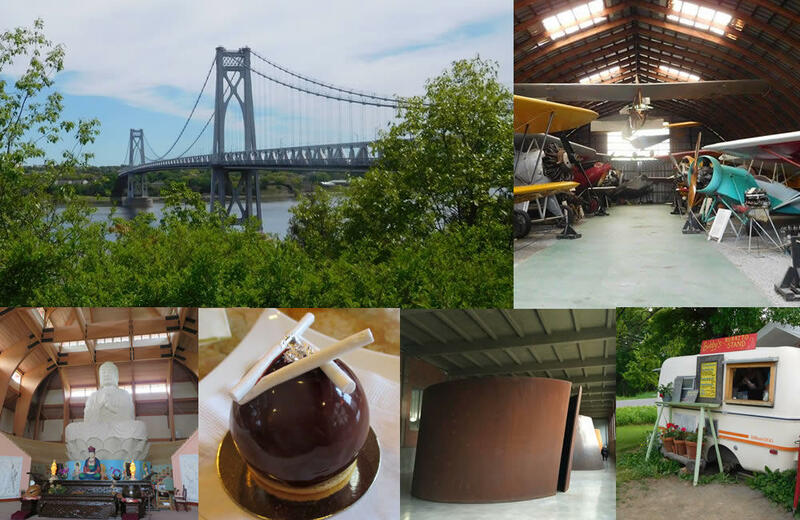 One example: our recent destination, Hyde Park -- pleasantly situated on the east side of the Hudson, just north of Poughkeepsie, about an hour-and-a-half drive from Albany on I-87. 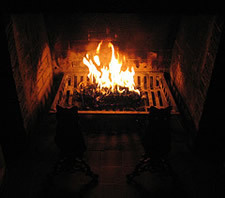 My husband and I have an unfortunate habit of taking trips to places where the weather is worse than it is in Albany: Michigan in February, Washington DC during a three-digit heat wave, and this recent trip: Vermont during a very very cold snap of single digit and negative temperatures. 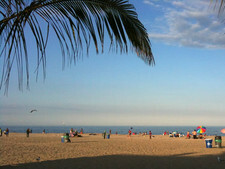 Luckily, Manchester offers more than just cold weather. 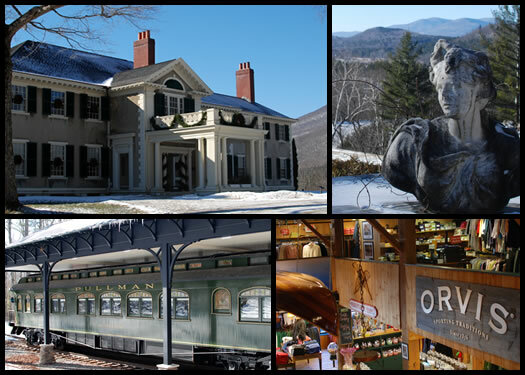 A beautiful New England village nestled in the mountains, it's a ski town (Stratton and Bromley are just up the road) that has grown to offer a little bit of everything. Due to the extreme cold and very little snow, we opted for indoor activities and dedicated our time to wandering, shopping, browsing, and taking in some history. For us, Manchester also offered a getaway from our daily life as parents of a toddler -- she went off to the resort paradise of a weekend with her grandparents while we headed east for 36 hours in Vermont. We were in Manchester from Friday night through early in the day on Sunday, but at just under an hour and a half away it also makes for an easy day trip. 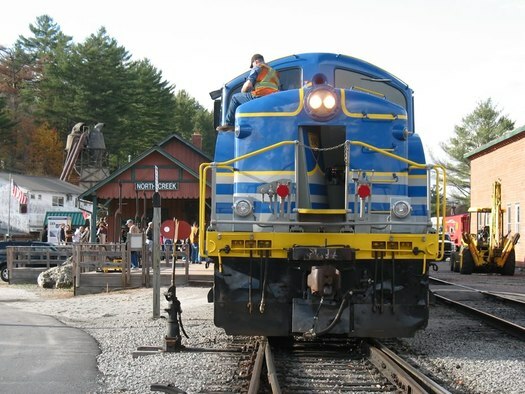 The AOA-organized trip to North Creek on the Saratoga and North Creek Railway was this past Saturday. It was a nice time -- and we had some good wine and cheese at barVino. Thanks to everyone who came along. Amtrak says it carried 31.2 million passengers during the fiscal year that ended with September -- a new record for the train org (Amtrak started in 1971). That's up 3.5 percent compared to the year before. Ridership on Amtrak's Empire Service -- the line between Albany and New York City -- was up 3.8 percent in fiscal year 2012 compared to the previous year. There were 1.06 million riders on the line. If you count the Northeast Regional service (Boston to DC) and Acela Express (Boston to DC) with the other short distance corridors, the Empire Service was the 7th most popular short distance corridor in the nation in fiscal year 2012. Amtrak says the Northeast Corridor service (Northeast Regional and Acela combined) -- which runs between Boston and DC -- had its best year ever, with 11.4 million passengers. A table with the figures for all the short distance corridor totals is after the jump -- we've highlighted all the routes that include a stop at Albany-Rensselaer. 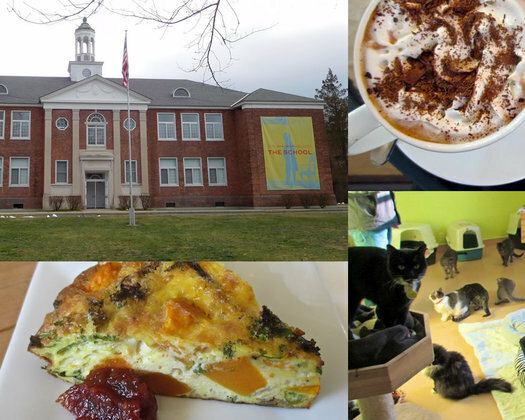 A day in Great Barrington. Road trips are pretty high on the list of fun things to do with a fall day in the Capital Region. A scenic drive on an autumn weekend can take you to mountains, lakes, wineries, cities, and small towns in time to explore, enjoy and be home in time to sleep in your own bed. 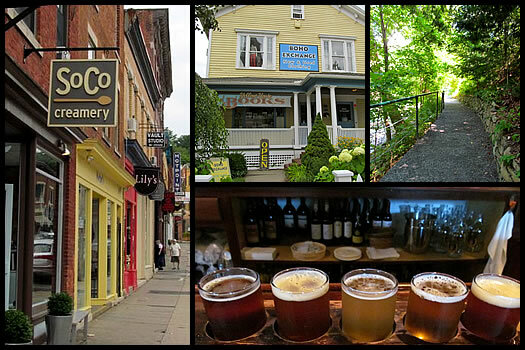 Great Barrington, Massachusetts is one of those places. Lesson number one: Barrington and Great Barrington are not the same place. This may seem as obvious to you as it did to me, but for some reason every time I told someone from the Capital Region that I was going to Great Barrington, they said things like "have a good time in Vermont." 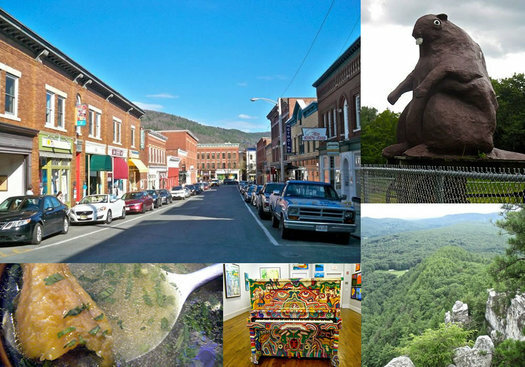 This quaint little Massachusetts town is a pretty common destination for people fleeing NYC or Boston for the weekend. 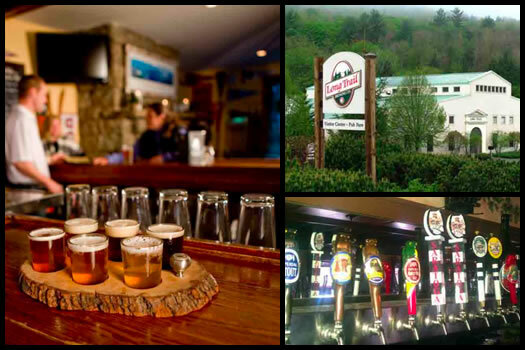 The shops are eclectic, the food is interesting, there's plenty of nature -- and good beer. 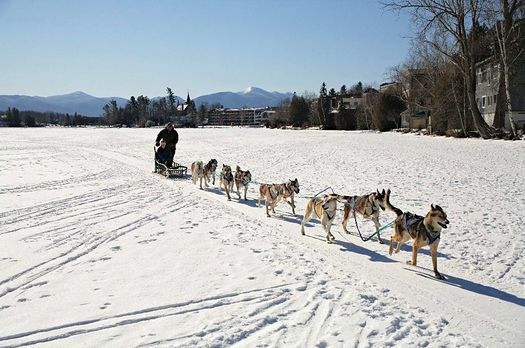 There's still a little winter left, and if you're looking for a way to make the most out of it, Lake Placid is less than a two-hour three hour drive from the Capital District. Sure, Lake Placid is a bit of a tourist trap, but as a two time host of the Winter Olympics it comes by it honestly (only seven cities can make that claim). Now, I'm not a fan of tourist traps. I'd rather let wild hyenas pull my toenails off than shop for cheap souvenirs or pay $10 more than I rightfully should for a steak. Lake Placid has some of that, but it also has real history and plenty of locals who are trying to survive and keep the magic alive. Yes, there's a faux outdoor outfitter outlet, but there's also a local movie theater and dozens of shops and restaurants that will give you an authentic Lake Placid experience. Here are a few ways to get the best from your visit. We are planning a family vacation later this year that will include one-way plane trips and one-way car rentals. I've started poking around on the various travel planning sites, but I'm wonder if the brilliant and resourceful readers of AOA have suggestions for either a good travel agent, or for a site that has worked especially well for them. 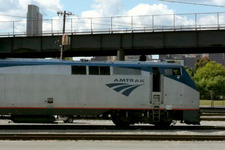 (The trip is Albany-San Diego-Phoenix-Albany). Having planned a trip like that a few times, lining up everything up -- and checking prices against each other -- can take a while. We're curious if a travel agent could score Wendy a deal and save her some work. So, got a suggestion for Wendy? Please share! 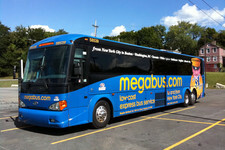 The Megabus will be offering service from Saratoga to both New York City and Burlington, starting April 2. The currently posted schedule has Saratoga > NYC trips leaving at 7 pm, and Saratoga > Burlington trips leaving at noon. Tickets are currently $4 (as with all Megabus trips, that price will go up as date gets closer). Megabus doesn't currently offer service between Albany and Burlington, so that's a new local connection on the bus line's map. And as Matthew Loiacono point out today, you can now tour the Northeast from here on Megabus (see his comment). Earlier on AOA: The last time we ran through all the options for getting to/from New York City, Megabus was one of the best. A romantic winter weekend getaway? So I want to plan a nice Northeast winter weekend getaway for me a my beautiful lady. Something real romantical for Valentine's Day. Unfortunately, I've never been skiing so I don't even know where to start. I basically want to eat good, peep some beautiful scenery, bundle up in front of a warm fireplace with a bear skin rug and love my lady. Can you and your all knowing readers help me out on this one? 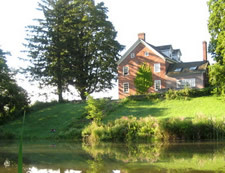 One of the good things about this is region is that there are a lot of small hotels/inns/bed-and-breakfasts in scenic places that are not too far: the Berkshires, Vermont, the Hudson Valley, and so on. If you're willing to go a bit farther, there's Montreal and Quebec generally. It's like a whole different country up there. Got a suggestion for Robert and his lady? Please share! Elsewhere: A similar question came up recently from one of Kristi's readers. The snow train -- Saratoga to North Creek and back again. It was still dark enough to see stars overhead when I came to the Saratoga Springs train station, bundled up against single-digit temperatures. By the time the sun rose over hills and treetops I was riding toward the Adirondacks on a trip that until this year, no one had taken since 1942. The Gore Mountain Snow Train was bound for North Creek and I had a panoramic view of the snow-covered landscape rolling by. After the jump, a little bit of my trip, complete with photos. 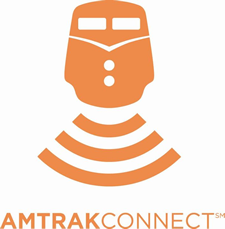 Amtrak announced today that there's now free wi-fi service on its Empire Service route, which travels from Buffalo to Albany to NYC. The Empire Service is one of 12 routes to get wi-fi today. A few other locally-connected routes are also getting the service, though it will be limited to select cars: Ethan Allen Express (New York City - Rutland, Vermont), Adirondack (New York City - Montreal), and Maple Leaf (New York City - Toronto). Look for the wifi sticker (right) in the cars. Amtrak already had wi-fi on Acela routes. Has anyone used it? (Update: Benita says she used it yesterday and "it worked just fine.") We're hoping it's better than the often dodgy service on the MegaBus. Amtrak says it makes use of mobile data networks to provide the service, and there's limited bandwidth among many of its routes. Earlier on AOA: The best way to get from Albany to NYC? A real castle? Close enough. As my four-year-old ascended the grand staircase at our bed and breakfast, I caught her singing to herself. It was a wistful little tune about how this place is so much better than our house, and her voice soared up high for the end: "I wish I could stay here for ... evvv ... er." I didn't take offense. How could I blame her? We'd all just called a castle our home for the night. Let's be clear: The Amsterdam Castle bed and breakfast is technically not a castle. 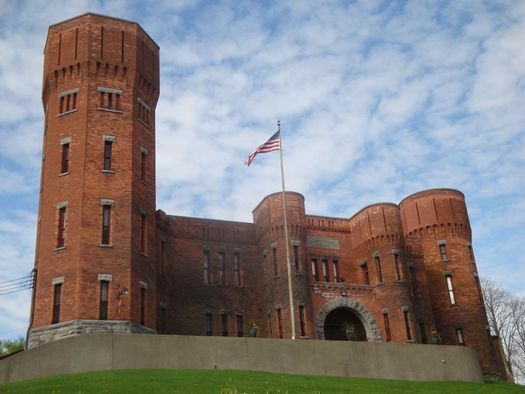 It was built in the 1890s as the headquarters for Amsterdam's New York National Guard company. But your kids won't care about such details. Does it have a tower? Yes. Tall, narrow windows? Yes. A scale and grandeur that most private homes could never approach? Yes. And yes, there's a throne. That the throne sits in the middle of the indoor basketball court just makes the place even more awesome. The Castle has that combination of quirks and elegance that makes a great B&B. And as a family getaway, it's in a class all its own. Here's a quick photo tour. Its direct flight to Atlanta may be "direct" -- not direct. Four factories and a graveyard. I love checking out new places, but it's kind of hard for me to get away for more than a day. So my fiance and I made a list of things we'd like to try that are closer to home. The list included a lot of factory tours, and a bunch of them were on the way to Burlington, Vermont. So we took a little road trip. 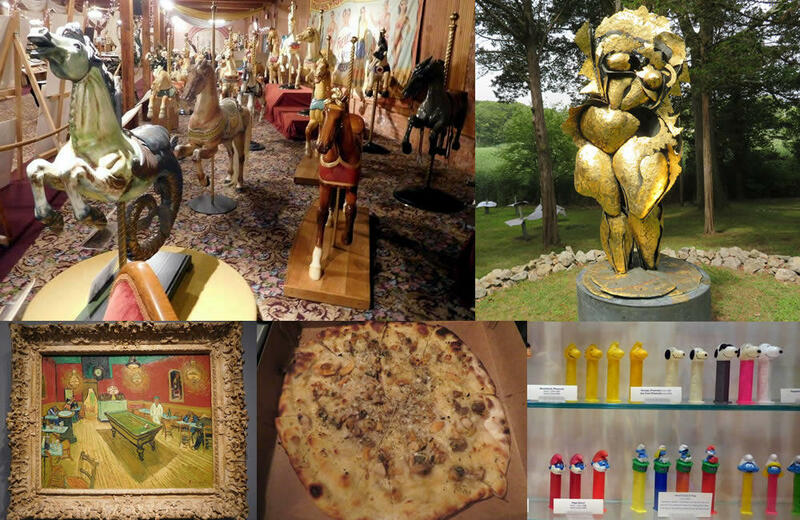 Burlington is about a 3 hour drive from Albany -- but if you're the kind of person who likes to see how things are made, it's well worth the time. There are lots of factories along the way that offer tours and samples. It's a fun trip that's just a little bit out of the way, but you can totally do it in a day. There's a lot more to consider than distance. One thing is clear from the recent discussions about chain stores: people around here love IKEA. And AOA very often gets search referral traffic for the query "closest IKEA Albany." 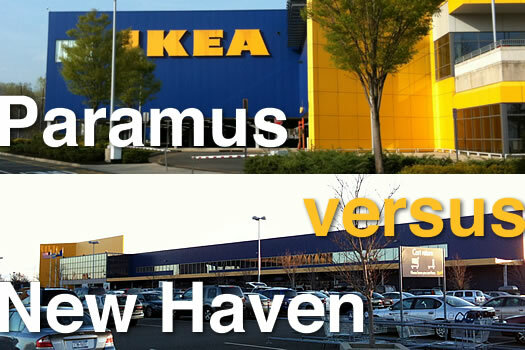 There are two primary IKEA options for the Capital Region: Paramus, New Jersey and New Haven, Connecticut. Our first view of the Saugerties Lighthouse. Open the middle door to find a set of stairs. Ascend. Then climb the blue wooden ladder. Lift the heavy metal trapdoor and -- you're swimming in slanting winter sunlight. Up in the tower of the Saugerties Lighthouse, my husband and I were grinning like kids. A lighthouse tower! With no tour guide or line of other visitors waiting their turn. Sheltered from the wind, we were free to watch the light play on the Hudson River's mosaic of ice for as long as we wanted. We spent an hour up there, eating pears and drinking in a 360-degree view of winter as the sun sank behind the Catskills. 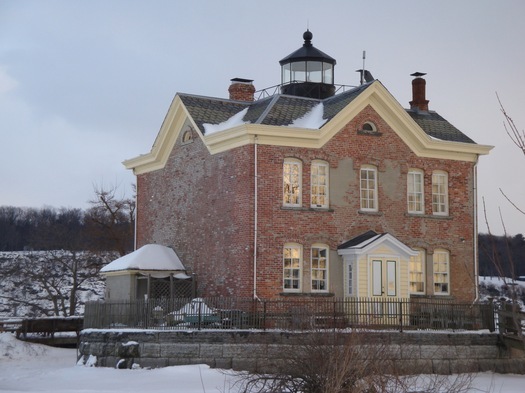 The Saugerties Lighthouse is a landmark from another time. The historic -- and still active -- lighthouse is also a bed and breakfast. And the fact that you can't reach it by car makes it all the more an adventure. The arrival of actual winter weather this week had us thinking about warmer places -- specifically, about places that are warm in February. Because it's right about that time of the year that we usually become officially sick of winter. With that in mind, we curiously scanned Southwest's winter fare sale this week for ALB-to-(insert other place) specials. There were a lot of warm-weather options -- but which was the best non-winter value? So, we did some quick math to determine which spots would get us the most degrees for our airfare dollar. ALB is projected to be at or near capacity Wednesday. + The NYS Thruway Authority says the two busiest days on the system are typically the Wednesday before Thanksgiving and the Sunday after. The peak travel time is noon to 8 pm. Yes, you almost certainly will have to wait at the Exit 24 tolls -- and probably any other major toll plaza. + Amtrak is expecting Wednesday to be its single biggest day of the year. It says every one of its passenger trains will be in service that day. So, leave early. Take a deep breath. You'll get there -- eventually. Still a pretty cheap ride. 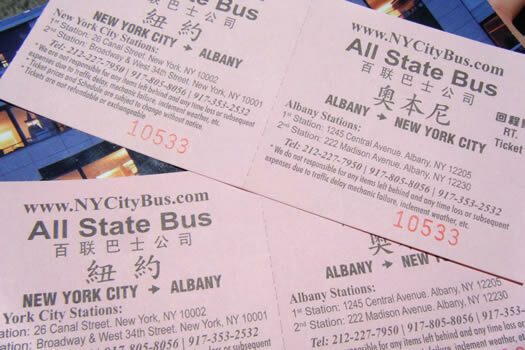 The NY City Bus line has raised its Albany-New York City fare to $20 each way. When we talked to a rep this afternoon, he said the $10 fares had been a promotional rate (not entirely surprising... it was really cheap). He said there's now a $5 discount when you book a roundtrip. Thirty-five bucks to get to and from NYC isn't a bad deal. But it's a lost closer to the Megabus fare (anywhere from a few bucks if you're really lucky, to about $50) and the Dragon Deluxe (running its own $35 promotion right now). Kalyn recently talked with a few people (among them, Albany Jane) about their NY City Bus experience -- and they sounded reasonably happy. Though, as a few commenters noted, the extra bucks for the Megabus do you get a few extras (air conditioning, wifi). Good to know: NY City Bus is planning to start service from Saratoga Springs. The fare currently listed on the schedule is $20. The listed pickup point is near the Saratoga Springs Visitor Center on Broadway. The rep we spoke with said they're hoping start the service August 1, but it could be later. He said their website would have the date when it's confirmed. + What's the new $10 bus ride to New York like? + NY City Bus -- competition for the MegaBus? + The best way to get from Albany to NYC? What's the new $10 bus ride to New York like? As of today, the NY City Bus -- which runs between Albany and New York for just $10 each way -- has been up and running for a month. One of Amtrak's "weekly specials" right now is Albany-Rensselaer to/from New York Penn during parts of July. That's about $10 cheaper than the usual lowest price (make sure you go through the weekly specials section). And, of course, you'll probably need to get back -- the return fare is $37 and up. By the way: The weekly specials page includes routes in other states -- and they have much cooler names than "Empire Service." Michigan has a "Wolverine" line, Florida a "Silver Meteor" and California a "California Zephyr." That one at the bottom is Puerto Rico. Check it out: the travel website Kayak has an "explore" option. You tell it where you're at, how much you'd like to spend, the season you want to go -- and it tells you where you can fly. 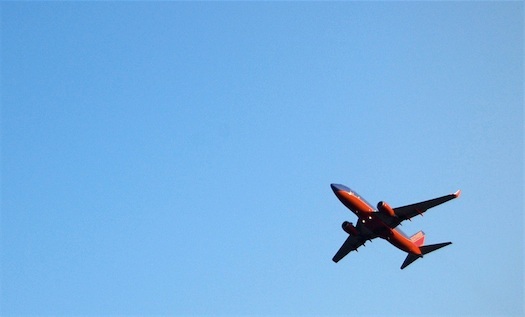 Here's the result for flights from ALB this summer under $400. (That's the screengrab above.) You can also sort by activity, language and weather (we're filing this away for January). It allowed us to indulge in a little daydreaming about heading off to the country for a long weekend. 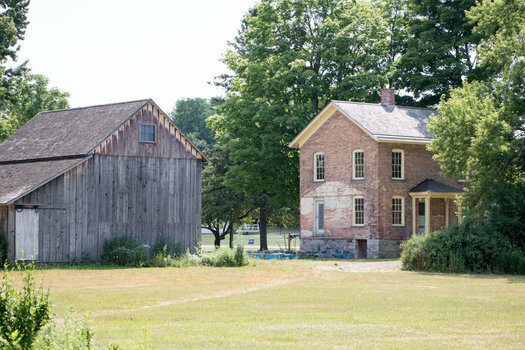 For example, at this gorgeous place in Coxsackie (photo on the right). We've been following @flyfromALB on Twitter and it's kind of interesting. 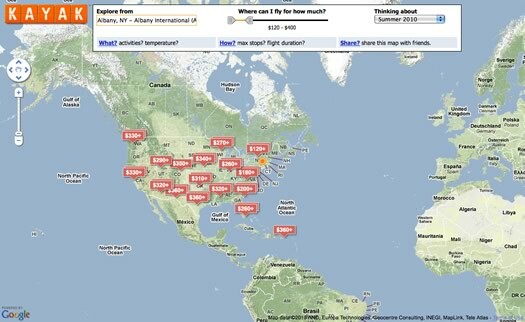 It's a feed of flight "deals" as detected by Fare Compare. After just a quick scan, the deals seem to match up fairly well with results from Kayak.